TAITUNG Train Ride — Lovely Countryside! Let’s go on a Taitung train ride! 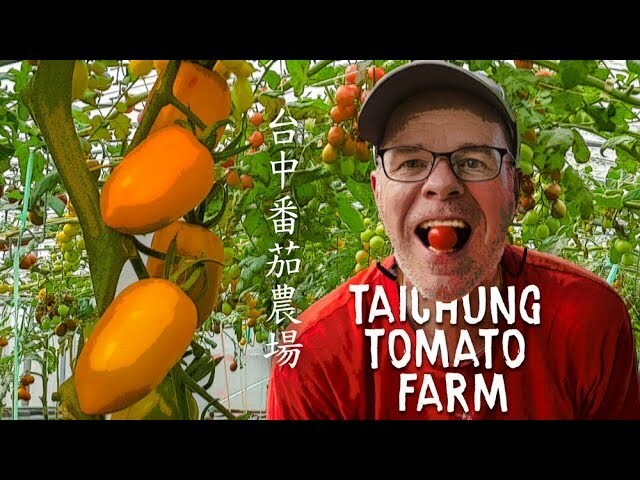 Sheltered from the busy, populous parts of Taiwan by massive mountain ranges, Taitung County is a charming rural part of the island where life is slower, the fields seem greener, the air fresher. This is a region where you want to slow down, rewind, take a deep breath, and regain your energy. The East Rift Valley is one of Taiwan’s most important geographical features. Squeezed between the island’s mighty Central Mountain Range and the lower, yet still impressive, Coastal Mountain Range, the valley is also known as the Longitudinal Valley, or – because it sprawls across parts of Hualien and Taitung counties – the Huatung Valley. It’s around 150km long, but in places the hills on either side are no more than 4km apart. Three rivers drain the valley. The Hualien River flows northward into the Pacific below the city of Hualien. To the south the Xiuguluan, Taiwan’s No. 1 whitewater-rafting venue, cuts eastward through the coastal mountains. The southward-flowing Beinan emerges from the Central Mountain Range and flows into the ocean on the north side of Taitung City. Thanks to plentiful water, agriculture thrives throughout this thinly-populated region and a great deal of rice is grown. 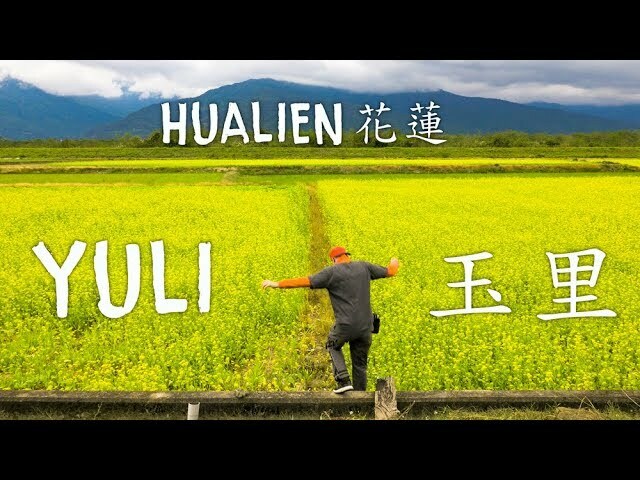 Because the only railroad between Hualien and Taitung is in the East Rift Valley (there’s no coastal line), the valley’s main attractions are accessible even to those who’ve no wish to rent a car or a motorcycle or take local buses. Careful planning is advisable, however, because Taiwan Railways Administration (TRA) services are not so frequent here as in the crowded western half of Taiwan. The TRA’s bilingual website (www.railway.gov.tw) is a good place to start. You can not only ascertain departure and journey times, destinations, and fare prices, but also pull up a complete list of trains stopping at a particular station. A willingness to ride a bicycle will greatly expand your horizons – and there’s often no need to hire a set of wheels, because many hotels and B&Bs loan bikes to their guests. 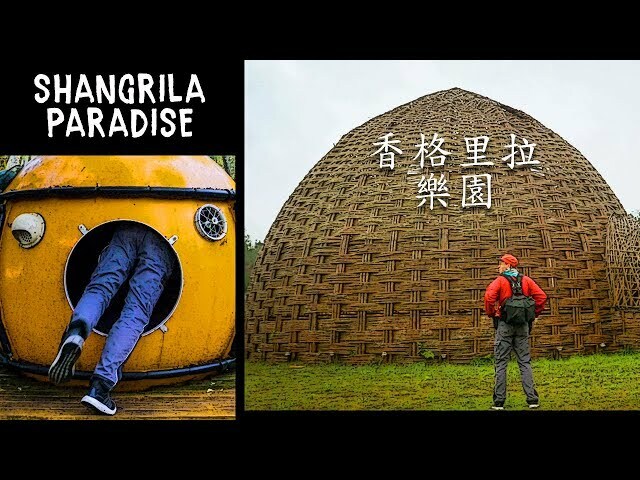 In this article, we’ll look at attractions around six stations in the southern part of the East Rift Valley and further down to Taitung City and beyond, starting at Chishang, the most northerly station in Taitung County, and ending with Zhiben, which faces the Pacific Ocean. Zipping back and forth by train won’t cost you much; a one-way ticket between Chishang and Zhiben is never more than NT$122. Oftentimes it’s necessary to change trains in Taitung City, however, which is between 39 and 75 minutes from Chishang, and about 12 minutes from Zhiben. Since the Japanese colonial period, the township of Chishang has been renowned for the quality of its rice. If you stumble off the train feeling famished, within minutes you can be enjoying a meal including the flavorful local rice at Chishang Riceball Museum. The museum lacks an English-language sign, but finding it is a cinch. Walk straight ahead from the front of the railway station for 260m to Chishang town’s busy Zhongxiao Road. Turn right here and you’ll see old blue-painted railway cars, which now function as dining spaces. Just before reaching the intersection, you’ll pass a bicycle-rental business on your left. As at many similar places in the region, the range of vehicles available includes side-by-side tandems and electric carts that can carry up to six people. You may want to come back here to get a bike after visiting the museum, so you can explore the town’s hinterland. The riceball museum celebrates a time-honored foodway. In the days of yore, men and women working some distance from home tended to carry lunch with them in the form of a riceball. Usually wrapped in a banana leaf, it was stuffed with whatever meat and pickled vegetables were available. There’s nothing austere about the meals served at the museum, however, hearty bento boxes priced NT$75~95. Choose pork, chicken, or fish, and help yourself to soup. Even if you’re not hungry, do take a look at the photogenic collection of memorabilia inside the museum. Before taking a look at the fields where Chishang Township farmers cultivate rice, it makes sense to visit the body of water which gives Chishang (literally “on the pond”) its name. These days, Dapo Pond covers about 20 hectares, less than half its size in the 19th century. Designated a wetland of national importance, it’s protected on account of its biodiversity as well as its beauty. You’ll need a bicycle to get to and around what’s widely known as Mr. Brown Avenue. Its fame stems from a TV commercial filmed here some years back, starring Taiwanese-Japanese heartthrob Takeshi Kaneshiro. An area of dazzlingly green rice paddies crisscrossed by irrigation channels, with a backdrop of foliage-covered mountains, it’s a little too spread out to explore on foot, but is ideal for biking. Moving south from Chishang, the next worthwhile stop is Guanshan, not to be missed on account of its 12.5km-long bicycle trail. This purpose-built 4m-wide bikeway goes by various English names, of which Guanshan Town Encircling Bike Trail is probably the most descriptive. Bike-rental businesses can be found on Longsheng Road between the station and Guanshan Waterside Park. The trail makes the most of Guanshan’s uneven topography, and takes cyclists past fields of millet and mahogany trees. Right in Guanshan you’ll find the Police History and Culture Museum. Enter through the police station on Zhongzheng Road. There’s very little English inside, but the riot gear and cells need no explanation, and the garden is a pleasant place to take a mid-ride breather. Keen cyclists looking for added adventure can consider a jaunt to Wan’an Elementary School Zhenxing Branch Campus, located between Guanshan and Chishang (much closer to the former) on County Highway 197 at the 11km marker. The campus features indigenous-themed murals and a row of highly photogenic banyan trees. Whether you approach from the north or the south, getting here means a little hill climbing, but there’s almost no traffic on this road. Luye Township deserves at least half a day; but none of the sights are within walking distance of the local railway station, so consider the following options. The first is taking a Taiwan Tourist Shuttle bus (en.taiwantrip.com.tw; No. 8168 / East Rift Valley Line), which can be boarded at the train station – note that the route starts at Taitung City’s bus station, stops at its train station, and heads to Luye Gaotai. This is a plateau where tea is grown and where tourists take in spectacular views over the Beinan River, and occasionally take to the sky. Yes, this is a paragliding hotspot, and venue for the hugely popular annual Taiwan International Balloon Fiesta (www.facebook.com/balloontaiwan/). Other parts of Luye cry out to be explored by bicycle, your second option to get around. Almost a century ago, the village now called Longtian was home to scores of Japanese immigrants, and it retains a distinctive Japanese character. The highlight of the 7.2km-long Longtian Bikeway is a “green tunnel” of Indian Almond trees. Choose your wheels at A-Do, a few doors down the road from the village’s elementary school. Yong’an, a village on the other side of Luye Gaotai, also deserves some of your time. Note that the Taiwan Tourist Shuttle bus also stops at Yong’an. Taitung’s railway station is some way from its downtown core, but there are regular buses into the city center, as well as a Giant Bicycles rental store right outside the station. The station’s Visitor Information Center can help with maps and directions. If you have time and energy, visit the Seashore Park. In addition to offering fine views of the ocean and the scenic coast, the park has Paposogan – a viewing platform that’s an attraction in its own right. A spacious rattan dome, it provides shade on hot afternoons and makes for romantic photo opportunities once the sun has gone down. Nor far from Seashore Park, in the city, is the Handicraft Community. Located inside what used to be a sugar-processing plant, it contains several shops, studios, and boutiques, within which you’re certain to find take-home treasure – perhaps a glass-bead necklace you can fit in your backpack, or an immense carved-wood table that’s ideal for your mansion! Kangle Railway Station is served by just five trains per day, but it has the advantage of being a short walk from the National Museum of Prehistory. For anyone interested in the Taiwan of long ago, this museum provides an excellent introduction to the various neolithic civilizations which rose and fell here thousands of years ago. There are also displays about the elephants, horses, rhinos, and tigers which roamed Taiwan before humanity appeared. Hours: 9am ~ 5pm, Tues. ~ Sun. The Zhiben district is one of Taiwan’s oldest tourist attractions, thanks to the local hot springs, which have been drawing visitors since the Japanese colonial era. The railway station is over 5km from the main cluster of hot-spring hotels, however, and even further from Zhiben National Forest Recreation Area. Fortunately, bus No. 8129 runs 15 times per day between Taitung City’s bus station and the forest area via the hot-spring hotel area, and can be boarded at Zhiben’s railway station. Even if you’ve no time for a mineral soak, do try to spend an hour or two enjoying the forest area’s giant trees, butterflies, and macaques. Whether you approach from the north or the south, in terms of scenery, you’re in for a treat. Between Taipei and the town of Su’ao, you’ll enjoy stirring Pacific Ocean views. 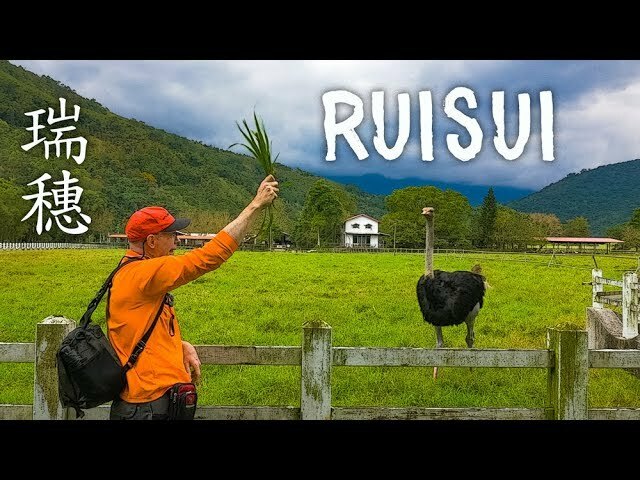 South of Hualien City you’ll see the beautiful bucolic scenery of the East Rift Valley passing by. The South-Link Railway is equally impressive. Over the 98km between Fangliao town on the southwest coast and Zhiben, the tracks cross 158 bridges and go through 36 tunnels, the longest of which is 8.1km. Look left and right for glimpses of uninhabited valleys, waterfalls, and boulder-filled riverbeds. After the 17th tunnel, the Pacific Ocean comes into view. On weekends and around national holidays, getting vrail tickets can be difficult. Book several days ahead, or travel mid-week. Alternatively, consider traveling by bus from Taipei to Yilan City; services are ultra-frequent, with no need to book ahead. In Yilan, board one of the 13 or so local trains each day that head to Hualien. The going is a bit slower, of course, but it’s an interesting ride. There are also four bus services per day from Kaohsiung to Taitung (bus No. 1778). The journey time is 3.5 hours; compared to the train, the bus ride offers more human interest, in the form of indigenous-village passages.